Borica is a manufacturer of organic titanate and zirconates . Their production facilities are located in China and Taiwan. 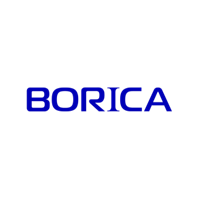 Borica was started in 1999 and it was a result of a MBO of ICI Taiwan. The Tytan product line of titanates and zirconates are used in coatings, adhesives, inks and in polymer production. In the ink market, the Tytan products are used for adhesion promotion and crosslinking for flexible and metal packaging. They help with enhanced heat sealing, freezer storage, abrasion, solvent resistance and grease resistance properties. Their new technology includes Tytan AP 910 (zirconium citrate) and PAP 910 ( zirconium citrate modified polymer resin) for use in packaging inks. In the industrial coatings market, the Tytan products are used as crosslinking agents with anti-corrosion properties. The Tytan are used as catalysts for esterification and trans-esterification reactions in the polymerization of polyolefins. In oilfield applications, the Tytans are used for crosslinking of oil field chemicals.